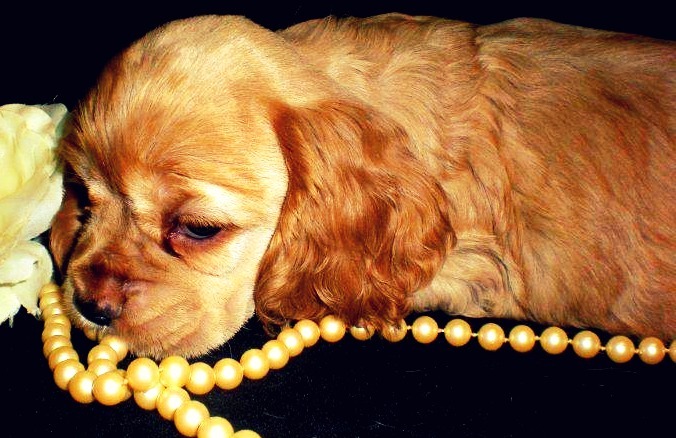 Pausing for the simple moments...like my new puppy wrapped in faux pearls. I’ll spend time with someone. A good friend, a guy on a date. We will have a fabulous time — laugh, drink, be merry wherever the night or day brings us. We will chat about family, friends, funny college stories. Drink wine or beer, share silly side glances, create inside jokes and quirky bonds. We will get home late. If it’s a friend, we’ll exchange a hug or a wave; if it’s a boy, a kiss or an endearing hand squeeze. I will, of course, realize how much fun we had, but I tend to breeze through these experiences. After the glitter-filled dust of the night has settled, I eventually do reflect, but it’s often with a disconnectedness. Did that great time really just happen? Suddenly, I will want to go back and share all of those moments again because I don’t think I absorbed them enough the first time. I want to relive the small moments. I want to relive the teeny side glances, the sweet kiss goodbye, the surprise compliment I received, the heartfelt compliment I gave. And then I’m left feeling at a loss — feeling like, though I did experience all those things, I also didn’t. Does this ever happen to you? As if you didn’t absorb a moment fully enough? That time spent with someone (or even just yourself) simply went too fast? We all know it — life goes by way to quickly. And I’m getting tired of yearning for moments I’ve already experienced. The solution to all of this yearning for the not-too-distant past is to really pay attention to the smallest moments while they’re happening. Most of the time, it’s the tiny nuances of a person — dramatic eye rolls, the face they make after laughing for fifteen minutes straight, the way they hug you — you want to always remember. In the realm of such a sh*tstorm of a daily life, the littlest things create the biggest feelings (sorry, that sounds painfully cheesy). But the best portion of my life is small momentsI spent smiling at someone I liked, feeling that charming flutter of mutual attraction, hearing someone say ‘I like you,’ or a best friend giving me strong and wise advice. I need to let life pass me by a little slower and recognize these teeny and special moments so I won’t feel at a loss when I’m looking back at them in my life telescope. That way, I will appreciate those notable gestures, delicate memories and actively remember to recognize them when they fleetingly pass me by. It’s such a simple and universal concept but getting my life together is a little stressful. It’s too easy to let these people and moments pass you by, so make an effort to stay in the moment while it’s happening. ← Is This Contentment or the Flu?